What’s up with our new meeting? Read more to find out! Help us get your ideas about this! What do you think?? 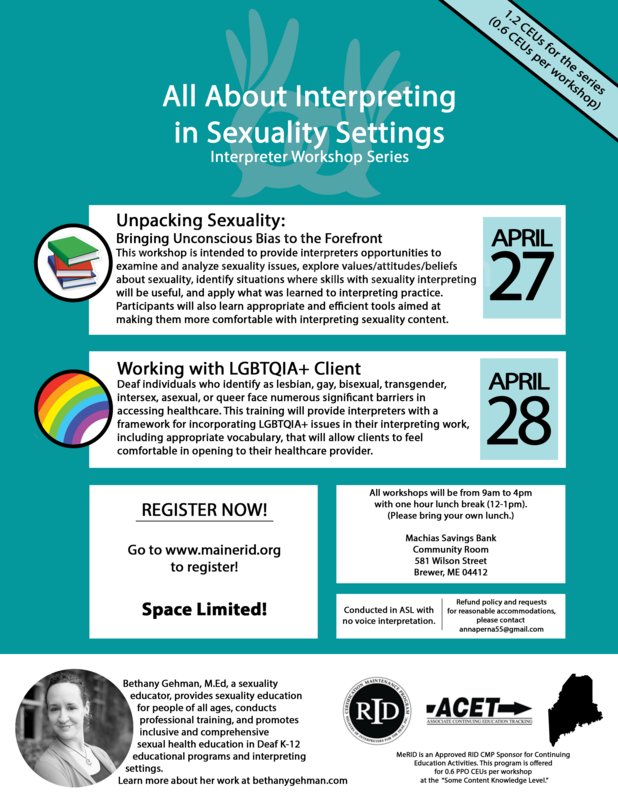 Critical Partnerships: Ethical Medical VRI & Sign Language Interpreters Any private messages regarding this topic should be sent to: Medical@mainerid.org or Membership@mainerid.org Thanks!! Zach and Polly.